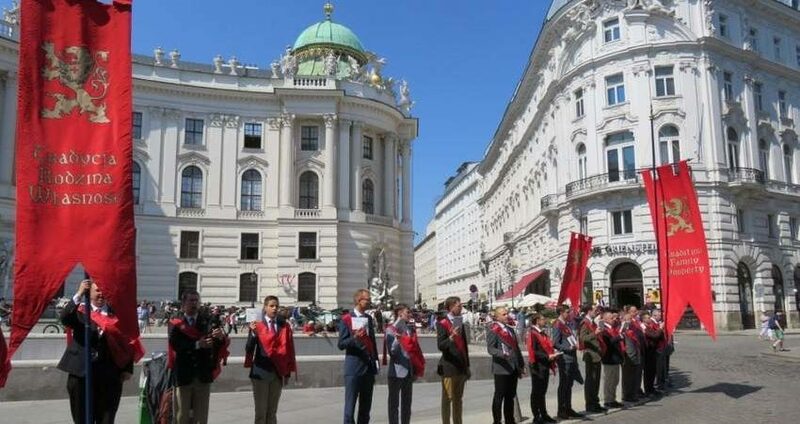 University students from around the world gathered in Gaming, Austria, to discuss, analyze, and counter the revolutionary ideas and spirit of the Sorbonne Revolution of May 1968. Hosted at the former Carthusian monastery founded in 1330 by Albert II, Duke of Austria, the gathering brought together a cadre of distinguished guests, including His Excellency Bishop Athanasius Schneider and His Highness Duke Paul of Oldenburg. "How to React 50 Years After a Revolution that Changed the World" was the focus of thought-provoking presentations and lectures, which unveiled the goals of the Sorbonne Revolution, how it came to be, and how college students can effectively oppose it. The spirit of the Sorbonne revolt can be summarized in the infamous slogan, "It is forbidden to forbid," a thought that still influences the direction of our culture and fashions as expressed, for example, in the transgender and homosexual movement and its attempt to subvert nature itself. The noble and uplifting setting of the conference was diametrically opposed to the disorderly spirit of rebellion unleashed by the student revolt of 1968. Each day begun with the ceremonial raising of the TFP standard, while participants sung the Creed, a profession of faith of the One, Holy, Roman, Catholic, and Apostolic Church. After this beautiful ceremony, meetings and study workshops ensued in beautiful baroque or medieval rooms with their vaulted ceilings. Every meeting began with a prayer beseeching the heavenly intercession of Our Lady of Fatima. The Holy Sacrifice of the Mass was celebrated daily in the Carthusian chapel and confessions were available as well. The format of the conference followed a maxim of St. Thomas Aquinas: To see, judge, and finally to act. Mr. Julio Loredo, president of the Italian TFP, gave a powerful presentation on exactly how to counter the revolutionary spirit of 1968, emphasizing true devotion to Our Lady under the title of Auxilium Chritianorum (Help of Christians). With renewed hope is God's final victory, Mr. Loredo mentioned how St. Louis de Montfort prophesied the coming of a Reign of Mary, the triumph of God over satan. Just as St. Michael the Archangel cried "Quis ut Deus" (Who is like unto God) and destroyed Lucifer, the first revolutionary in history, Our Lady will once again crush the head of the serpent (Gen. 3:15) and inaugurate an new era of peace. Finally, participants held a public campaign against transgender tyranny in the downtown streets of Vienna. As TFP volunteers paraded down the grand avenues of Austria's capital, the red standard of the Counter-revolution fluttered in the wind. Its graceful movements seemed to speak: Continue the good fight with great hope because the gates of Hell shall not prevail against the Church.